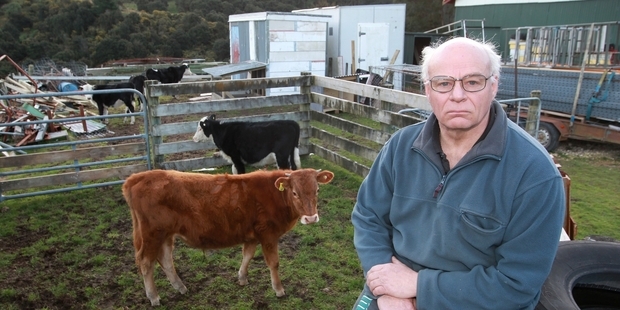 After waking up to find someone had castrated two of his bulls, a Tararua farmer expected the police to arrest and charge the culprit. Instead he says he was advised to sell up and move. But Hawke's Bay police say they are unable to gather firm evidence to charge anyone. "We've been plagued by a continuous raid of stock rustling, thefts and the police fail to get prosecutions," Vitsky told Hawke's Bay Today. The spate of issues had been ongoing for more than six years at his and other neighbouring properties, he said. In the latest incident, someone applied castrating rings to two expensive bull calves he had intended to use for breeding. "You put a ring on his testicles and they drop off so it then becomes a steer and it can't be used for breeding. "I spent a lot of money on these animals and now they have become useless." Other issues in the area included thefts and, on one occasion, a whole cow was "chopped up". "The previous person to me who had this property left for similar reasons. "There's also two other people up the road who have had stock stolen. "It's just going on and on and on." However, the police had been unable to apprehend a suspect without photographic evidence. "The police said to me sell my property and the problems will go away. "That's just passing it on to the next owner. It has gone beyond a joke," Vitsky said. However, Senior Sergeant Jymahl Glassey said all complaints of cattle rustling were taken seriously and did not go ignored. With regards to Vitsky's complaint about castration of his bulls, police had made inquiries, he said. "As already discussed with the complainant, unfortunately there is no admissible evidence to support the assertion that there is a particular person responsible. "If anyone has any evidence relating to this incident they are asked to contact local police. Police appreciate that it is often difficult for rural victims to offer evidence or locate eye witnesses." Glassey said the police advised people to use CCTV cameras and ensure they could look out for each other's properties. "It is really important for neighbouring farmers to have good working relationships with each other so they can keep an eye out for each other's property and stock as well as alerting each other to strangers in the area. "Caring for those farming around you and developing good working relationships and farming practices between neighbours are probably the No1 tools in counteracting stock loss. "Stock do wander through damaged fencing and some farmers accept there is some movement in stock numbers from time to time but that they should equal out when their neighbour discovers them and returns them as per ethical farming practices. "In terms of crime prevention, security options for farmers to consider include installing CCTV or wireless alert systems which can activate an alarm in your house to alert you that someone is in your shed by alarm or light sensors. "These devices are highly effective and can even work in areas across some distance, where there is no cell coverage." Vitsky told Hawke's Bay Today said he had now made an official complaint to the Independent Police Conduct Authority about the situation.